Sam and Dean really need to learn that making deals is never a good idea, especially when it’s with a reaper who hates Winchesters. That’s what happened during Thursday’s episode, when Dean made a deal with Billie. Yes, that Billie — the one reaper who really hates Sam and Dean and wants them dead. She firmly believes that what dies should stay dead. The fact that Sam and Dean have returned from the dead so many times really irks her. If Sam or Dean ever die, Billie has promised them, she won’t resurrect either of them. Keep those fingers crossed that never happens. So why the heck did Dean make a deal with her? Well, because he just can’t help but ensure Sammy and everyone else he loves remains safe and sound. 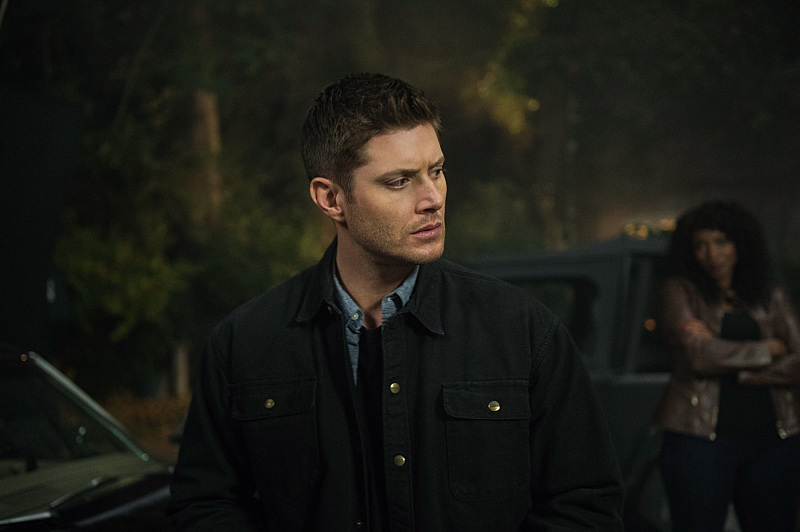 While a group of hunters (including Sam, Dean, Jody and even Mary) gathered to honor a recently deceased fellow hunter, a crossroads demon showed up, causing quite the mess. For part of it, Dean was stuck outside and couldn’t get back inside the house. Enter Billie, who was there to reap a fresh soul (one of the hunters was killed). Dean asked her to help him get inside, to which she replied, “You’ll owe me one.” That sure doesn’t sound ominous. Dean made the deal and ended up saving the day, alongside the other hunters. At the end of the episode, Billie showed up and approached Sam, Dean and Mary. She looked right at Dean and told him he owed her one. She then turned to Mary. That’s right: Billie wanted Mary’s soul, and not just because Dean made a deal with her but because she could tell how miserable Mary is on Earth. Mary didn’t argue with Billie, though that wasn’t enough for her to walk away from her boys. She told Billie the only way she’d get her soul is when she dies, and that’s not this moment. Whew! That was a close one. But Billie’s deal with Dean still hasn’t been fulfilled. How is he going to repay her? That remains to be seen. Anyone else freaking out that this isn’t going to end well for the Winchesters? She’s thirsty for a soul; specifically, a Winchester one. Let’s hope that doesn’t happen and this deal just fizzles out. Who are we kidding? Billie won’t forget the favor she did Dean, and she will be back. Fans, prepare for something bad to happen, because you know it will. The upside to all of this? Hopefully, Billie and Crowley are going to have more scenes this season. Come on, you know you’re totally shipping them. During Season 11, their chemistry was off the charts. Who doesn’t want more of that? Supernatural returns Thursday, Dec. 1, at 9/8c on The CW.